Since I am going to be gone most of the day tomorrow with the doctor, and DH has no idea how to make a blog post. 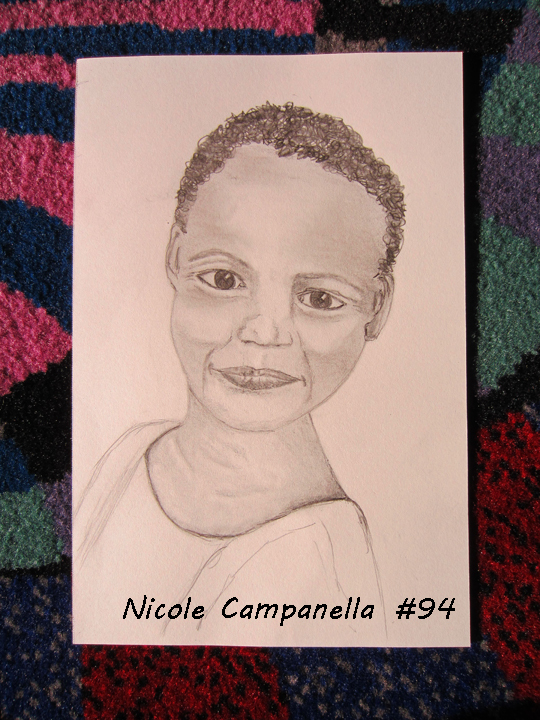 I am showing my Art Everyday for day #94. I normally draw from photographs but this one is from my head. I need to do that more. I feel like she has a happy secrete. wow so beautiful. lovely work. What a sweet expression! I love it. Hope you enjoyed the Walking Dead, again! LOL! I love your face! She is so sweet!! !